By now you've hopefully dropped everything to hit play on the above trailer, our first look at the new film from Shame and Hunger director Steve McQueen, which you can watch in HD at Apple. I'll give you another minute to watch just in case. Well that's what happens when a filmmaker keeps his star-studded film quiet and presents a first trailer with maximum impact. When we wrote about the film's new, prime release date of October 18 back in June, we didn't even have an image from the film to use. Now we've gotten a look not only at Chiwetel Ejiofor in the lead role as Solomon Northrup, but at the immense cast supporting him-- including a turn that looks bigger than I'd imagined for Michael Fassbender. McQueen and Fassbender became famous together after 2008's brutal Hunger, and Fassbender starred for McQueen in Shame as well, but it seemed like he would be taking a backseat to Ejiofor's lead turn, playing the titular black man who lived free in the pre-Civil-War North before being kidnapped and sold into slavery. But now we see Fassbender's turn as the vicious master of the Louisiana cotton plantation, and if you haven't been sold on Fassbender's talents before… well, I'm not sure how you missed it, but you've got to at least be intrigued now. On top of Fassbender and Ejiofor, the cast includes Brad Pitt-- apparently reusing his Aldo Raine accent to play what looks like the plantation's overseer--, your new crush Benedict Cumberbatch, Paul Dano, Alfre Woodard, Sarah Paulson, Paul Giamatti and Beasts of the Southern Wild's Quvenzhane Wallis, though we don't really see her here. It's not just that McQueen is stepping up to make his first-ever ensemble film-- he's assembling maybe the best ensemble in movies this year to do it with him. No pressure. 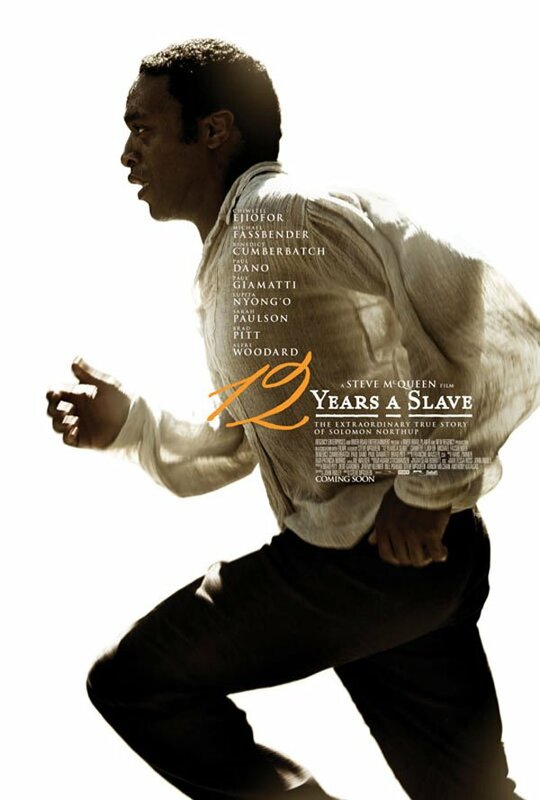 It's not a surprise that this film looks powerfully acted; it's a bit of a surprise, though, to see the big emotional turn it takes near the end, lifting music from Inception to present the film as an emotional saga of overcoming adversity (as you might guess, Northrup's time as a slave ended after 12 years, and the film is based on his memoir about the events). McQueen, who had been a visual artist before transitioning into film, is known for films that are bracing and innovative and a little off-kilter-- think of Carey Mulligan's endless rendition of "New York, New York" in Shame, or the famous single-take dialogue scene at the center of Hunger. I'm expecting 12 Years A Slave to be a little less of a traditional historical drama than we're being sold here. Given how much talent is going into it, that's only a good thing. Now you can begin the guessing game of which fall festival will host the film's premiere before its October 18 release. I vote for Toronto! You can also check out the film's first poster below, having also premiered at Apple, and click here for more info.